Lutetium fluoride (LuF3) is one of the important lutetium compounds. Compounds of lutetium always contain the element in the oxidation state +3. Aqueous solutions of most lutetium salts are colorless and form white crystalline solids upon drying, except the iodide. Lutetium salts, such as nitrate, sulfate and acetate are water soluble while the oxide, hydroxide, fluoride, carbonate, phosphate and oxalate are insoluble in water. -Lutetium Fluoride (LuF3) is used as catalyst in petroleum cracking in refineries. -Lutetium Fluoride (LuF3) is used to make laser crystal. -Lutetium Fluoride (LuF3) is used in in alkylation, hydrogenation, and polymerization applications. 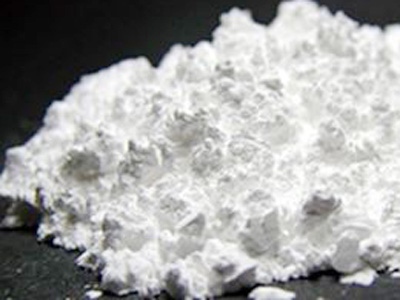 -Lutetium Fluoride (LuF3) used in ceramics, glass, phosphors, and lasers. -Crystal for of Fluoride (LuF3) is used as an active laser medium. Our Lutetium Fluoride (LuF3)is carefully handled to minimize damage during storage and transportation and to preserve the quality of our product in its original condition. Great care is taken to avoid any damage which might be caused during storage or transportation. Please send us your inquiry for Lutetium Fluoride (LuF3) and other Lutetium products to sales@edge-techind.com.